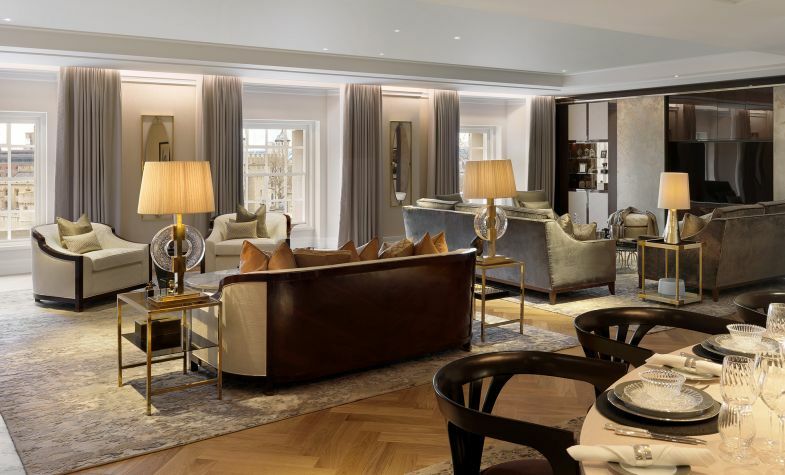 Much as a loved gift can feel freshly given years after the box is opened, the Four Seasons at Ten Trinity Square still feels new to the City nearly two years after its opening. 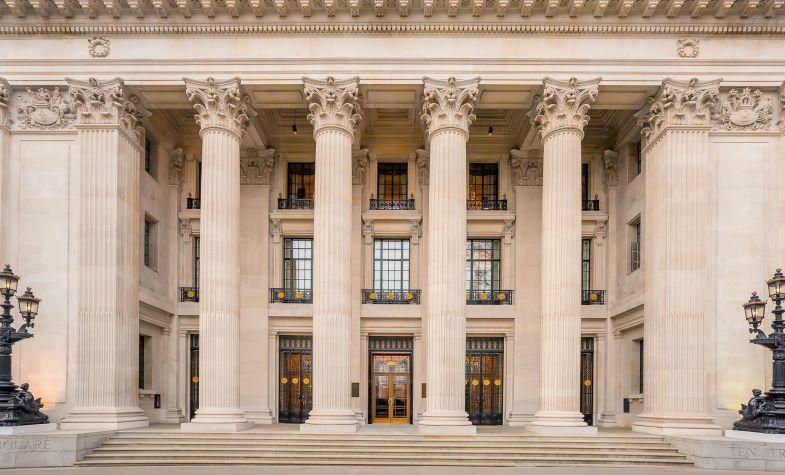 It’s a popular and welcome addition to the Square Mile both in terms of a place to stay, and also in its superlative restaurants, bars and private members’ club. Greatest of all, Ten Trinity Square keeps getting better and better. 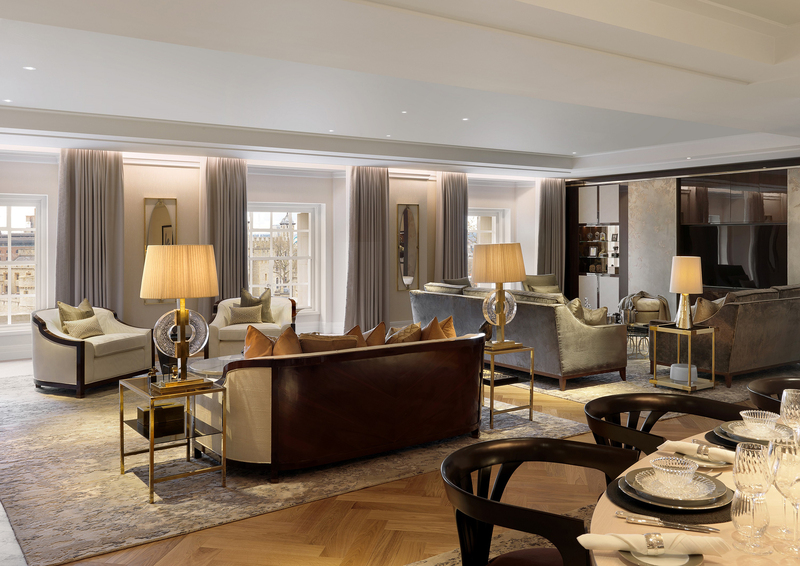 The latest opening from the property is the collection of ten new residences that are perfectly positioned and designed for longer stays in the capital – ranging from a few days, to a few months. The residences are located on the third to seventh floors of the hotel and work magnificently with the imposing columned Grade-II-listed former Port of London Authority building, which was first opened by prime minister David Lloyd George in 1922 and at the time was one of the tallest buildings in London. The residences combine the magnificence of the original structure with sumptuous modern design. 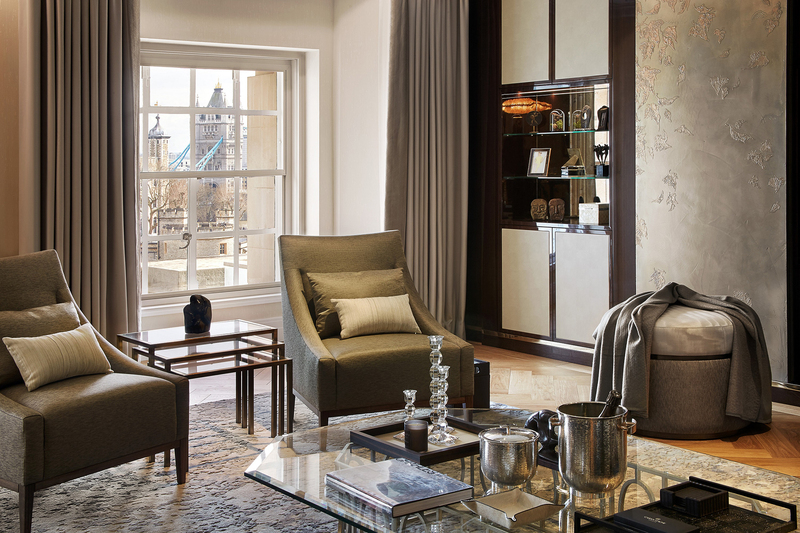 The Four Seasons has worked cleverly with a roster of leading British designers including Linley, Martin Kemp Design, Richmond International and Fox Linton to put together the interiors of the apartments, each of which exudes a unique elegance and comfort. 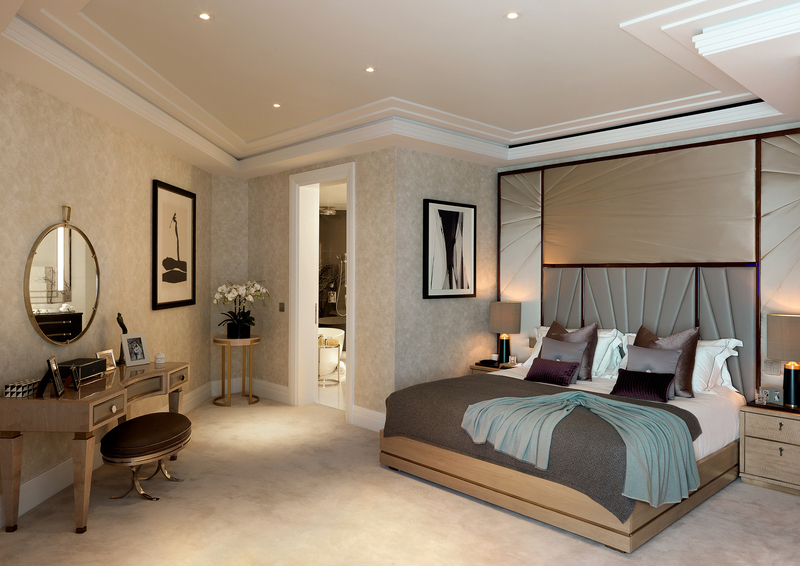 Each of the apartments comes with a fully equipped, marble-countered kitchen, separate dining area, spacious living rooms and up to four luxurious en-suite bedrooms. The most exciting apartments have large terraces overlooking London with the Tower Residence nestled next to the sculpture at the top of the imposing building and with one-of-a-kind, unbeatable views over Tower Bridge and the Tower of London, enough to send visitors to the city into ecstasy and even draw a gasp from the most cynical Londoner. 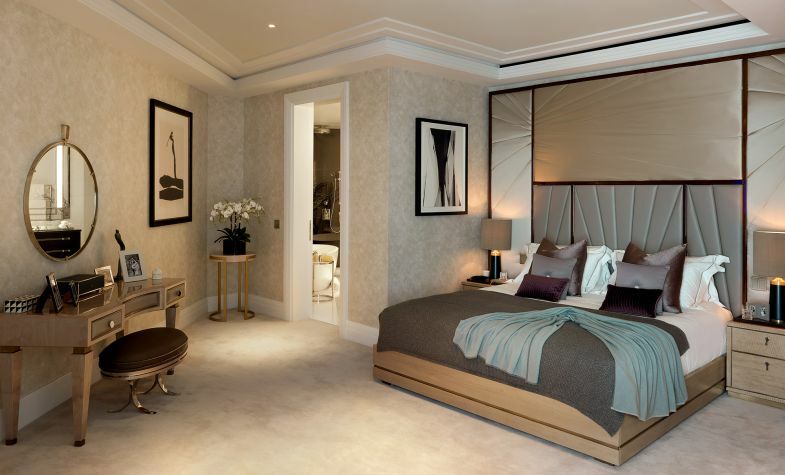 Unrivalled comfort and elegance is found in every corner of the residences, and this is only enhanced by the access to the rest of Ten Trinity Square’s facilities. 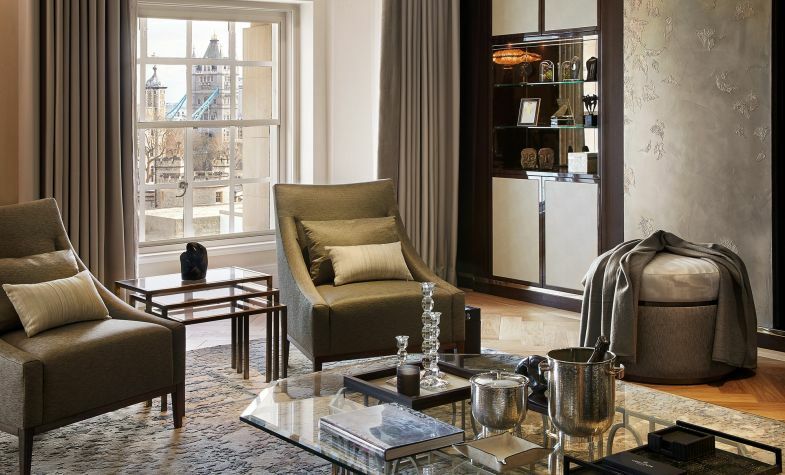 All residents get access to the private members’ club in the hotel, Ten Trinity Square Club, which is co-owned by Four Seasons and Château Latour and features a Discovery Room, which holds one of the most impressive wine collections in London – both of rare Latour vintages and wines from the chateau owner, Artemis Domaines. 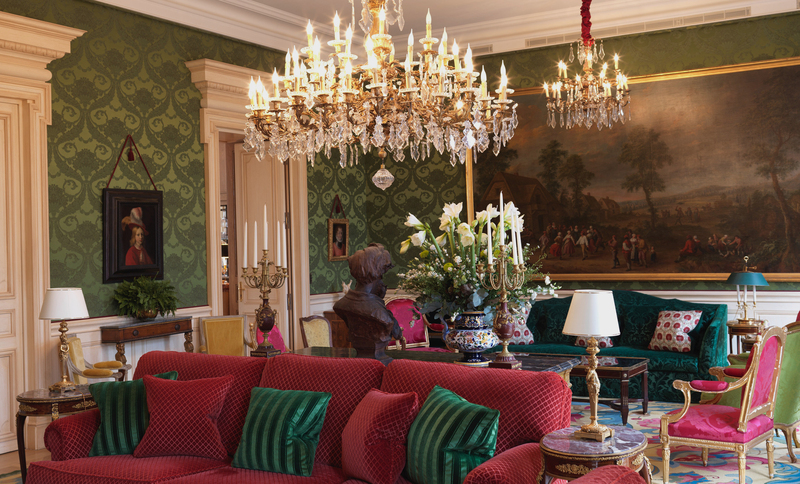 Aside from the Discovery Room, the club offers a fantastic wine list, assembled by accomplished wine director Jan Konetzki, and a wealth of wood-panelled rooms in which to relax, including ones dedicated to pool and cigars. The club also serves suitably exquisite French food from Anne-Sophie Pic, the Michelin-starred chef behind one of the hotel’s restaurants, La Dame De Pic. The menu is slightly different in the club from the restaurant, suited to its more relaxed and decidedly French atmosphere. The restaurant La Dame De Pic is a Michelin-starred triumph of cooking and service. 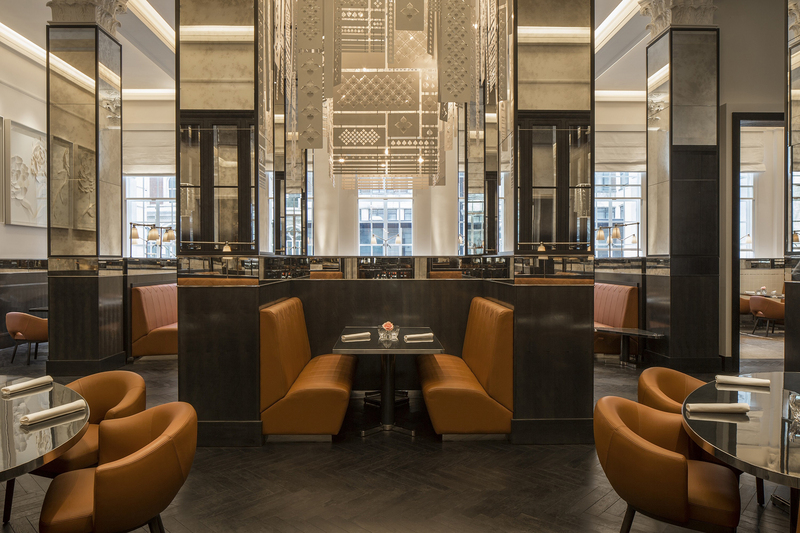 The elegant space, just off the hotel’s central rotunda, is a Deco masterpiece of gilt mirrors, leather and dark wood. The tasting menus are highly recommended but try to taste the berlingots – pasta parcels stuffed with Gruyère and vacherin and served with seasonal mushrooms – which are something of a signature dish and a delicious triumph. 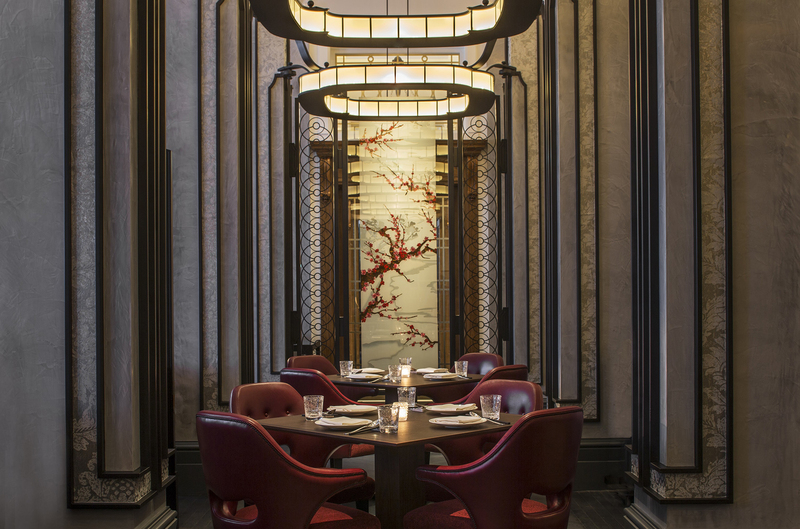 The hotel’s other restaurant Mei Ume serves sophisticated Japanese and Chinese cuisine in beautiful surroundings. Try the tasting menu and ask the sake sommelier for their recommendations. That is, if you can resist the draw of dining in the plush privacy of your own apartment. 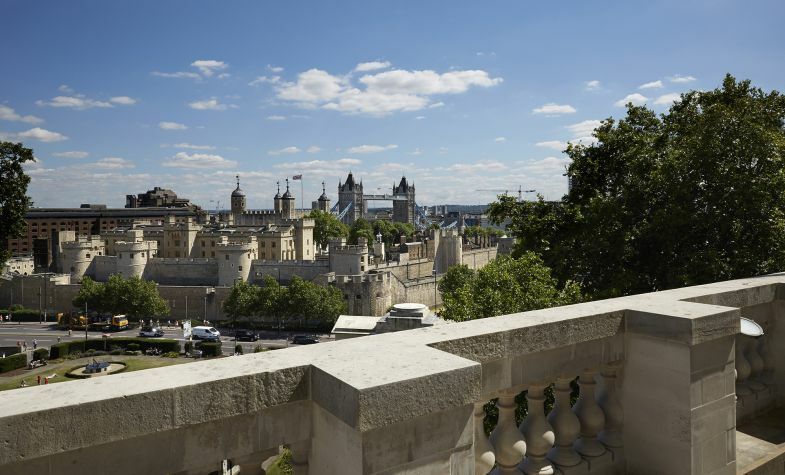 For anyone visiting the city for more than a little while, or looking to accommodate visitors to London in consummate style, there is really no better option. 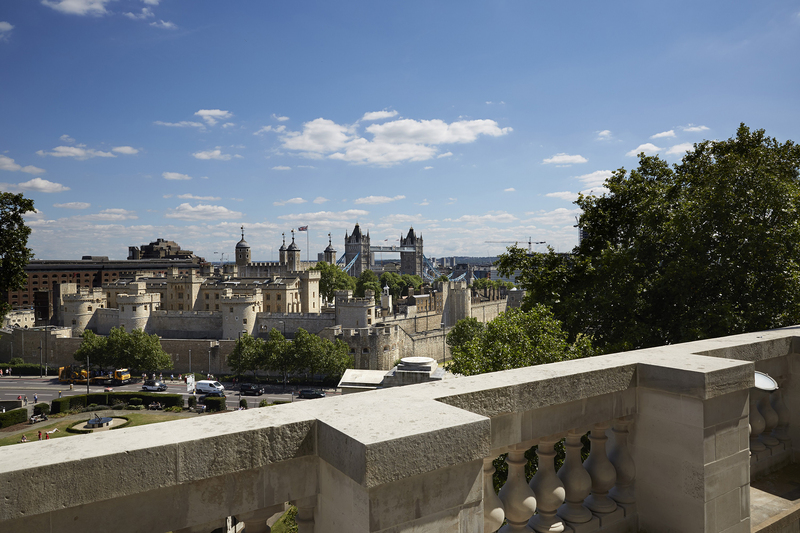 It’s the ideal location to reserve a space for clients too, given its proximity to the City and easy access to the rest of London – as long as you arrange to meet them for drinks on their terrace, of course.